Posted on August 1, 2017 at 2:34 am. After six months of speculation about how Japan’s budding casino industry will be regulated, a key government advisory panel met on Monday to establish the final set of recommended rules to submit to Prime Minister Shinzo Abe for consideration. A new law allowing casinos to operate in Japan for the first time came into effect in December 2016, and the government has been struggling to finalise the legislation known as the Integrated Resort Bill ever since. Legalising casinos has been met with wide criticism by the public, with many concerned about the rise of gambling addiction and gambling related crime, so the government has had to step lightly to keep controversy at bay. The advisory panel’s final recommendations aim to make casinos attractive to foreign tourists and investors while restricting access to Japanese nationals to control the potential harm to locals. The panel’s report was presented on Monday, suggesting that Japanese nationals be charged an admission fee when entering the casinos and be subject to a cap on the number of times they could visit the casino within a week or a month. It suggested Japanese gambling activity be tracked using government issued ID cards, but did not state how much the admission fee would be or how many visits would be allowed. The report also proposed an “upper limit” on the allowance of casino floor space, although the exact figure was not specified. Officials have previously considered a limit of 160,000 square feet, but the panel said specific figures would be set after wider consultation. The panel recommended the Ministry of Land, Infrastructure, Transport and Tourism assess applications for the potential zones where the casinos will operate. Tokyo, Osaka and Wakayama have expressed interest in hosting the integrated resorts. Japan’s strict regulations have been causing friction for foreign casino operators, with analysts warning that over-regulation could end up damaging the industry before it has even been given a chance. 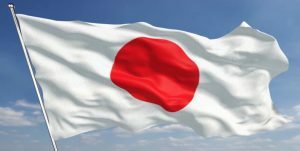 There are concerns the restrictive regulatory framework and high project costs could result in some of the biggest foreign casino operators withdrawing interest from Japan. The panel’s recommendations are expected to form part of the integrated resort bill that will be submitted to Japanese parliament later in the year. If approved, analysts have predicted the introduction of two integrated casino resorts in Japan could generate $10 billion of revenue each year, while increasing tourism numbers and creating more jobs. The government hopes the introduction of a casino industry will help sustain tourism following the 2020 Tokyo Olympics.